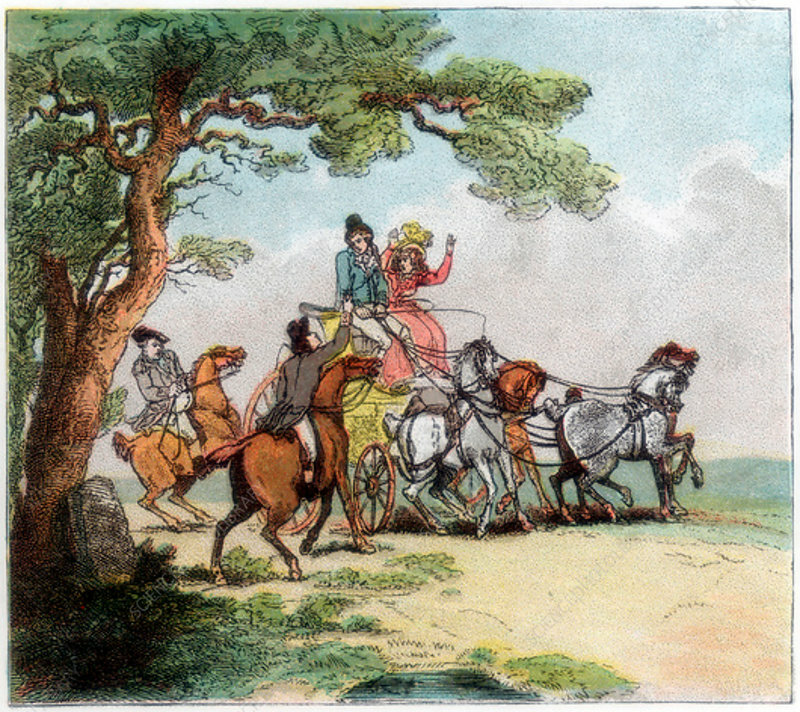 Vicissitudes of the road in 1787, the highwayman, Lord Barrymore stopped', 1890. Richard Barry, 7th Earl Barrymore (1769-1793) was a notorious gambler, sportsman, rake and womaniser. A print from The Graphic, 6 December, 1890.